February 16th in WordPress Themes by Wordpress Jedi . The key to having success as a blogger is being passionate about what you intend to cover on your website. You are going to enjoy your career as a publisher much better if you are in love with the topics you are covering. Many folks are in love with the sports. If you happen to be one of them, there is no reason you shouldn’t start a news portal on your favorite sports. NewsTube for WordPress is just the theme you need to get started. 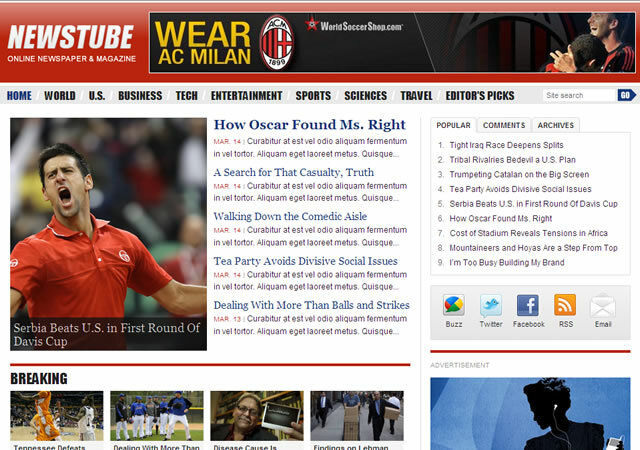 NewsTube gives your website the look of a sophisticated sports portal. You are still going to have to add new content to it all the time. NewsTube for WordPress is multimedia friendly and is highly customizable. 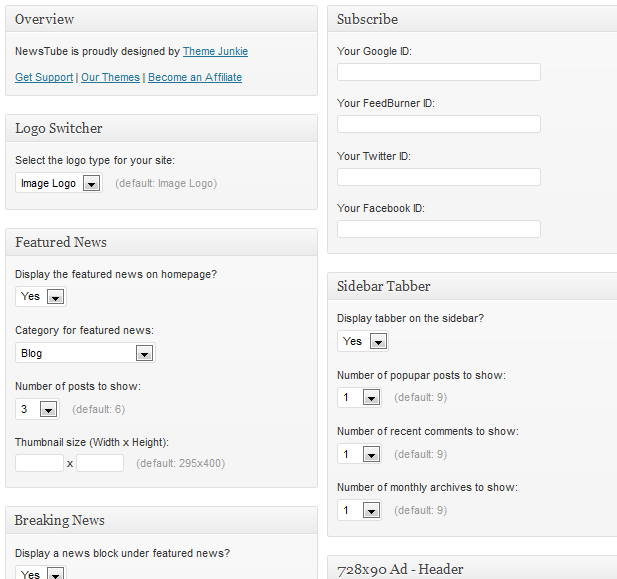 It has a simple but effective options panel that gives you full control over your content and ads. As you can see in the above screenshot, you can assign categories to various sections of your website from the options panel in NewsTube. 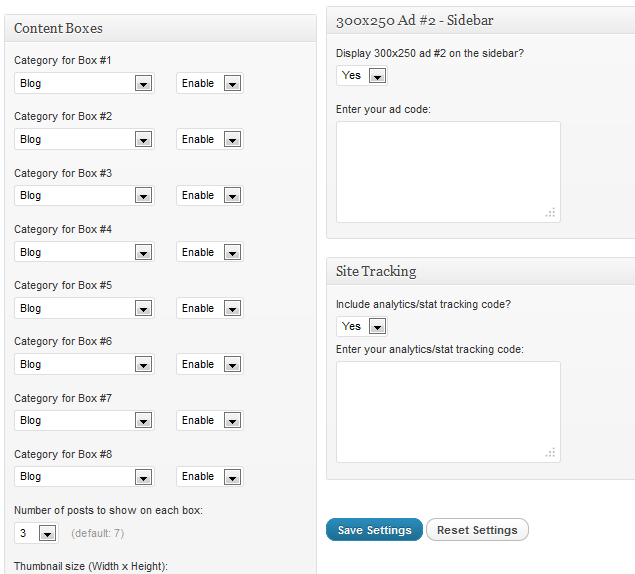 Adding your ad and analytics codes can be done in the very same page. You should take time to add your social media links under the Subscribe section. NewsTube for WordPress does not have the most sophisticated backend. But it is still easy to customize and quite useful for sports portals. It won’t create your content for you but does a good job presenting it.